The wisdom of the Sacred Fool is a tricky, uncanny medicine that can neither be sought nor avoided. It trips you when you think your steady and deserts you as you wobble for support. As we expound and pontificate about the meaning of life, we may be getting a parking ticket and we may have let the soup boil over. Coyote medicine is an invitation to laugh at whatever obstacles come your way. Laughter is a test of Grace. And Grace is the ability to drop a plan before that plan drags you under and grinds you up. Coyote is native to North America and has distant relatives in the African Jackal. Like all dog relatives he is descended from the Wolf, and shares many aspects of the great Teacher medicine which Wolf offers. Unlike the Wolf, however, Coyote has changed his old breeding, housing, and eating habits to adapt to the tide of human industrialization. This canine has actually managed to colonize in most major cities and thrives in urban environments cut off from nature. He slinks from playgrounds to back yards, along sidewalks hunting domesticated cats and dogs as well as rats and other alley dwellers. He learned to thrive among buildings as well as trees. He can live anywhere and is found everywhere; in the desert, mountains, beaches, and forests. He is not fussy and has learned how to become a part of his environment even as it changes. He’ll make due with what he’s got. He teaches us to drop sentimental attachments to the way things used to be and get on with surviving the way things are now. Coyote knows that life is change and nothing is too sacred to change. No church, no forest, no marriage can ever stay the same. If your car has been towed no amount of yelling, complaining, or crying will change that fact. Give up the mental anguish and find a way to laugh. The ten block walk to the evil towing company to retrieve your car may turn out to be fun, rain or shine, but only if you drop the notion that you’re exempt from inconveniences. 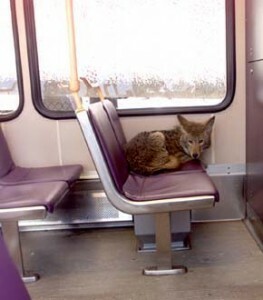 When it comes to plans, Coyote travels light and thrives on side trip excursions off the main path. His whole life is a side trip excursion. Coyote’s plan is all about changing plans to suit the moment since the moment is where to find the fun. 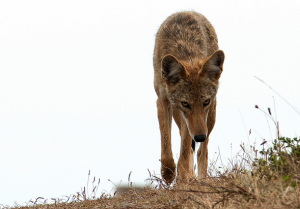 Avoiding change will set coyote on your trail to trip you up and remind you how to adapt. Laughter breaks your fall. 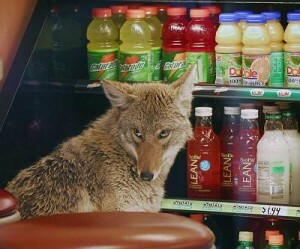 Coyote is an expert thief and escape artist who has been known to walk into convenience stores, navigate down the aisles to his snack of choice and make off with a bounty. Coyote medicine people can talk themselves off the hook and have you driving across town on an errand before you know what hit you. His teachings will not be a structured, systematic lesson. It is a guessing game of infuriating trial and error. Coyote lessons are taught backwards, upside down, and inside out often yielding frustrating conclusions. He is a jester and a clown, challenging the seriousness of the sacred and reminding that the glossy life, without the grit, is no life at all. He teaches you how to take off the make-up, how to sing off key, and how to find the true meanings of ceremony behind the garments and trappings. If you can’t find the humor in his lessons they could be painful and embarrassing. If you can figure out how to laugh it all off, the hard lessons can be a wild and exciting adventure. By learning how to laugh at unexpected or undesired outcomes Coyote teaches that there are no mistakes, only a variety of experiences and a manifold of possibilities. Most so-called mistakes are, in fact, a matter of personal perspective and a form of judgment on how a situation ‘should’ play out per your preferences. 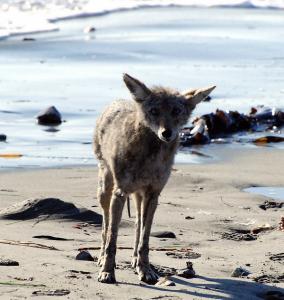 Coyote reminds us to let go of how we think others should be and what we think is ours. He understands on a cosmic level that anything goes here on Earth. It’s a Free-for-all in the Third Dimension built on free will, random chance, and probability. Coyote’s way is not so much about figuring out the ‘right’ answers to Life as it is navigating the boggling variety of choices for your life and staying in the game for the fun of it. He questions what we think we know and reminds us that no thing is truly yours. All that you have is borrowed and eventually given up and returned to Earth. The truth of you needs no thing. When Coyote is afoot, whatever you think you know, you can know for sure, you don’t know it. When out of balance, Coyote Medicine is his own teacher and his own student in a closed system that allows no new insight. He can become stuck, like the famous Wile E. Coyote, learning the same lesson over and over again till it lands like an anvil on his head. He’s fascinated and lured by prospects of quick, easy gain, always losing more than he gambled. Coyote is half the size of a wolf. His scrawny, scruffy stance gives him a suspicious and often guilty appearance, as if he’s been up to something dubious. He makes no attempt to conceal his mischief and wears it rather as a banner to proclaim his wit and daring. He’ll give anything a try and is willing to play the fool as a tactical strategy for personal gain. He’ll risk high stakes in games of chance with such reckless conviction that he evokes our baffled sympathy and awe for his sheer commitment regardless of how foolish he has behaved. Coyote is the wild cousin to the domestic Dog and so his Trickster medicine also shares the attributes of Loyalty that his domesticated kin teaches. He travels with a chosen mate faithfully and is a dedicated family man. Both parents participate equally in child rearing. They live in abandoned, (or not quite so abandoned) ground burrows and spend most of their lives playing and socializing with other relatives. They are opportunistic foragers, finding clever ways to get other animals to do the heavy labor of hunting. Coyote has developed a tenuous business relationship with the Badger. Thick as thieves, these two often team up to flush out and catch small burrowing meals. Badger digs and Coyote catches. Because of the range of his complex personality it is easy for humans to underestimate this wild animal. He is just on the verge of domestication, neither wolf, nor dog and is unpredictable as such. He is a savvy charmer and a viscous enemy all in one. His duplicity can be heard in the eerie forlorn sound of his call that seems to laugh, mock, and grieve all at the same time. This unique call speaks metaphorically to the nature and power of laughter. Laughter is a human tool that can destroy if aimed at someone and elevate if shared with them. Coyote medicine asks you to take a look at the quality of your laughter. Is it aimed or shared? Is it a weapon or a gift? Aiming to mock not only diminishes your target, it trains your own heart to close and stand guard, for surely if you have laughed at someone you can expect retaliation. Mocking another is, in reality, violent self sabotage as it pollutes the quality of your personal experiences with toxic comparisons. Holding others in contempt only leads to isolation. Finding the ability to laugh at yourself allows others the space to relate to you and share their own weaknesses. Sharing our concerns and fears with others dissolves the importance of those fears, rendering them powerless. Unity of true laughter turns a group of mixed company into a Pack.